Fixed height elevated amp stand. Especially good for guitar players since the speaker cabinet is not in contact with the floor, which can amplify lowend frequencies. Convenient angle to focus the sound directly to the guitarist. Removable supports for transport. 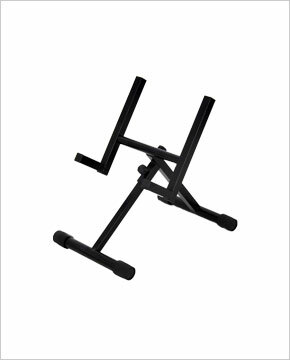 Durable black powder coated finish with cushioned feet.